Is there any name in the market more recognizable than Winnebago? An industry leader since 1958, we know when new arrivals come bearing the name that we are carrying another trustworthy model. So it’s with great enthusiasm that we are introducing another Winnebago model to the Bullyan RV family…the Winnebago Voyage Fifth Wheel. Built on a NXG Frame for superior foundational support, the Winnebago Voyage fifth wheel has been engineered to provide the ultimate in lightweight durability. To ensure a quality construction, Winnebago has built the Voyage with a High Strength Low Alloy Prime Steel (HSLA) composition and secured with Huck fasteners. Thanks to this lightweight frame, the half-ton towable Winnebago Voyage offers a steady towability unmatched in the industry. While quality engineered is a noteworthy feature, the truth is, when a fifth wheel is well-made you just don’t have to worry about it. What you do take notice to though, are the sleek lines and plush furnishings of the interior space. And in the Winnebago Voyage fifth wheel, will you take notice. A flawless interior with spectacular use of space, there simply isn’t a missed opportunity for practicality in this fifth wheel. 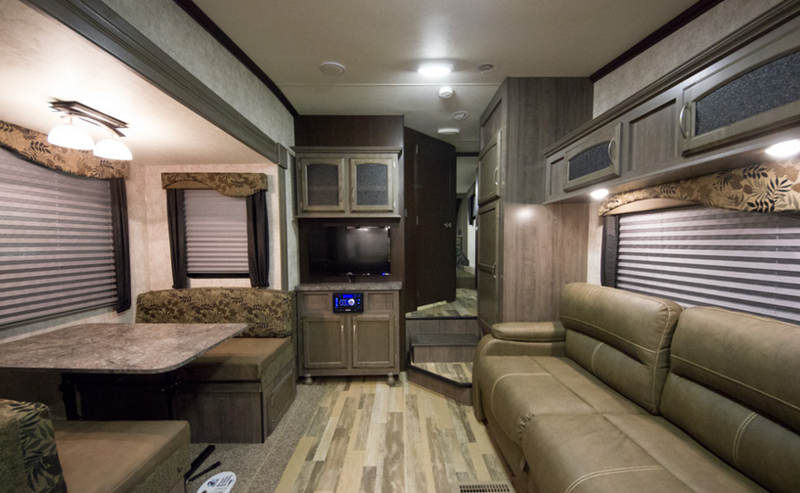 Furnished with upgrades throughout and offering a spacious and well-equipped kitchen, the Winnebago Voyage sets the bar high in mid-profile travel. Comfort and durability with just the right touches of luxury, this is what sets Winnebago apart from the rest and what makes the Voyage a shining star in the lineup. Offered in a range of layouts to suit your travel lifestyle, the Winnebago Voyage is an idyllic retreat and an absolute beauty from inside to out. Contact us today for more information on this fantastic fifth wheel built by one of the more reputable names in the industry. 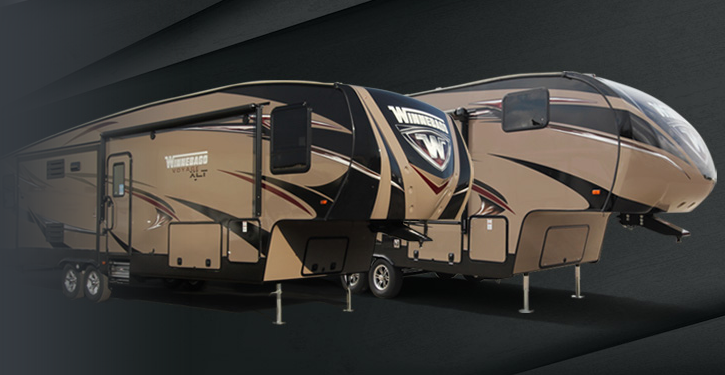 Or, better yet, visit our Duluth, MN location to see the Winnebago Voyage fifth wheel in person.